Twistfix remedial brick ties are designed for the professional, offering swift and simple wall tie replacement and durable brick-pinning installation. Fabricated from high-grade stainless steel, the products efficiently tie masonry walls and restore the structural integrity of the building they are used on. The ties are held and hammer-driven by a unique SDS setting tool which, is ordinarily sold separately. This January Twistfix are offering a free tool with each brick tie order within its Airtwist stainlkess steel wall tie range. 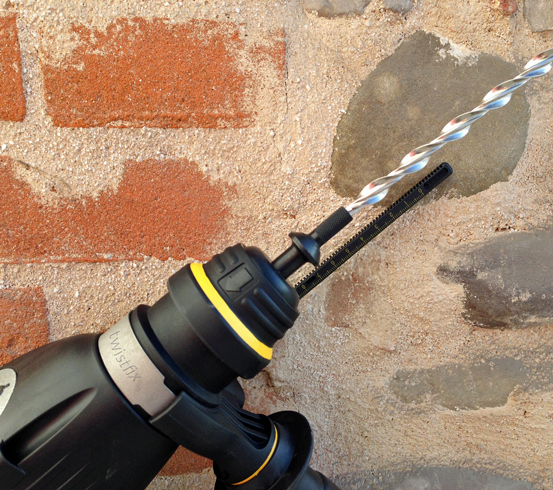 With a 9mm diameter, Twistfix self-tapping brick ties screw easily into masonry, concrete and brick once hammered with a hammer drill into small pilot holes. 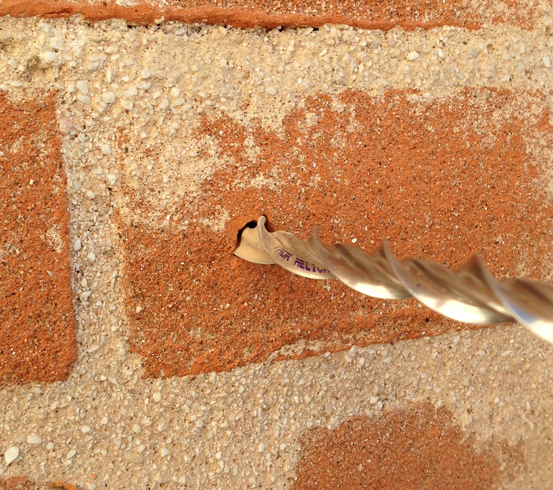 Once installed, the remedial wall tie strongly grips into a helical undercut, interlocking securely yet not exerting expansive stress on brickwork or concrete blocks and thus preventing cracking or mechanical relaxation that can occur with ties woking on an expansion mechanism. Airtwist technology creates a unique and innovative driving configuration to deliver a quick and simple yet immensely reliable solution to the problems caused by cavity wall tie failure. The products carry European CE Mark Approval for use where new walls are added to existing and conform rigidly to EN845-1 specifi­cations. To easily choose the correct length of wall tie (based on traditional brick cavity walls), simply consult the chart below. 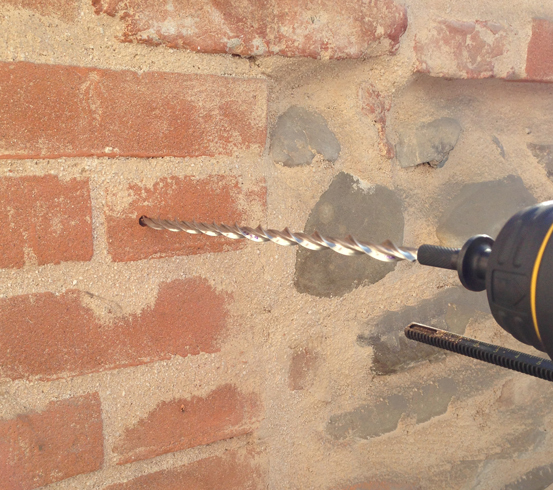 To complete the installation, a small diameter SDS drill bit is required, along with the remedial wall tie setting tool which is currently available from Twistfix absolutely free when purchasing our 9mm brick ties ties. Sold in handy packs of 50, 150 and 750 these essential products continue to be used on many diverse projects in the UK and beyond. 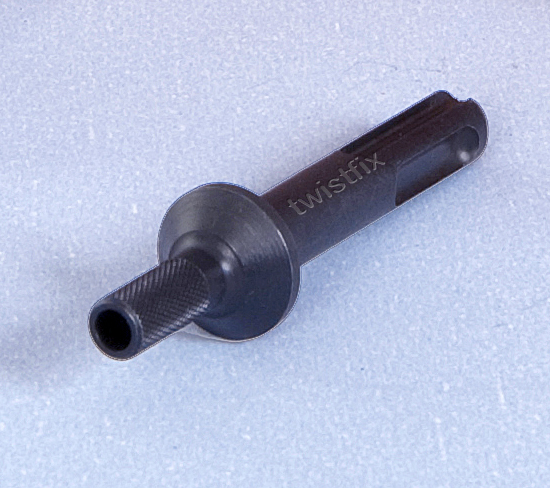 For more information on the range of crack repair solutions available from Twistfix, please call our team on 0845 123 6006 or email sales@twistfix.co.uk.